If you just ordered a new or used MacBook Pro, this is the place to tell us about it! What did you get? What are the specs? What's the estimated delivery!? Tell us!! Hey! I think this is my first post in the iMore side I'm Jonathan! This is what I ordered and it comes today!! My first question is coming from windows, do I shutdown the Macbook? Or just close the lid when I'm not using it. Also, When it hits 100% charged do I unplug it? I don't know if it's bad for the battery to be plugged in all the time. Leave it on and just close it up. I have two iMacs and three MBP's that never get shutdown. Only time they get shutdown is if I have an update that requires a restart. I always keep mine plugged in. Once your laptop is fully charged it stops. So it will not harm your battery. I just picked up my new MacBook Pro 15" this past Thursday at the Apple Store! I absolutely love this thing!! Here is my specs. 2.6 GHZ i7 with 256GB and 16 GB RAM. 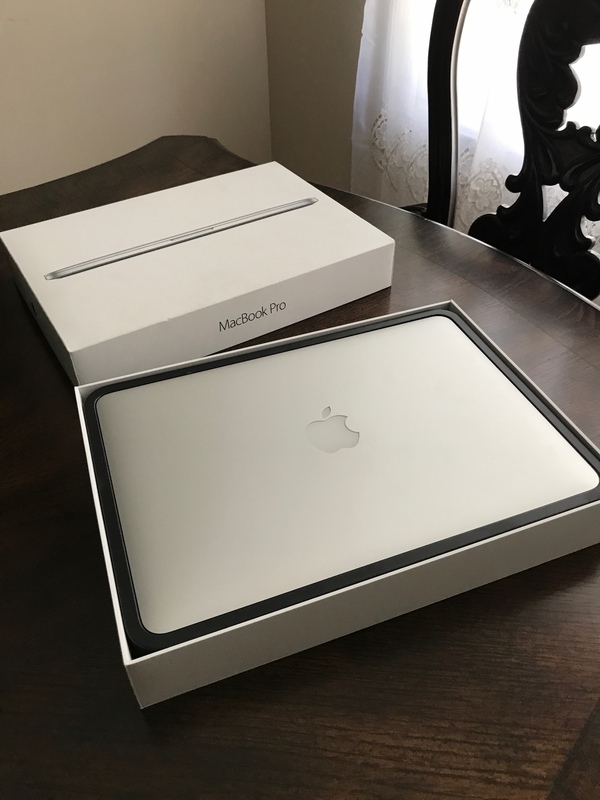 Just picked up my 2014 13inch MacBook Pro! It has taken me so long to fine one for the right price in the condition. It amazes me that they are still very expensive even with wear and tare. But I found one with minimal wear on it in great shape with all of the contents it would come with new. The place gives you a 1 year warranty. Extremely excited to add this to my tech as my last windows laptops were cheap and did not last. Last edited by Lambertoid; 06-14-2017 at 04:57 PM. Congratulations. Enjoy your new MacBook Pro. Just picked up a 2017 13" w/Touch Bar, 3.1 GHz i5, 8 GB RAM, 256GB storage. A huge improvement coming from a 2013 Air. The keyboard is taking a bit to get use to, but is not as bad as I thought it would be. The jury's still out on the touch bar. At this point it's more of a nice to have, instead of a must have. I also picked up a Satechi hub and Thunderbolt adapter so that I can continue to use my peripherals...a pain, but not the end of the world. I would've preferred it if they made the transition a little more gradual by slowly introducing USB C alongside the existing ports. Just bought a late 2016 13" w/touch bar, 2.9Ghz i5, 8GB RAM, 256GB storage. Its my first macbook, was reduced as it was open box but I didn't mind as it is in great condition, one small nick on the underside but I will never see it. If your eligible for AppleCare than I would get it. Since it's open box you can't be too sure. Where did you get it from? Best Buy? Worse, PC World in the UK. Spoke with Apple as the warranty was showing the wrong date, they've updated it and renewed the AppleCare start date for me so I am pretty happy! I just ordered a new MBP to replace my trusty early 2011 15" MBP. 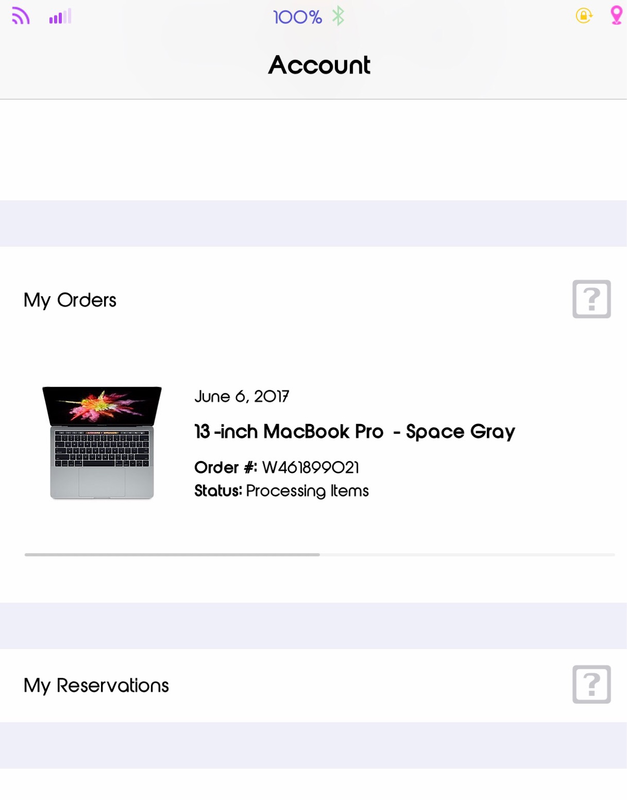 I ordered a space grey 15" 2017 2.9 GHz with 1TB storage. This will be my third MBP and hopefully it will last me as long as my 2011 model did. I also ordered an Elgato TB3 dock. I won't get the dock until late this week and the MacBook Pro until the following week. I'm still trying to get the rest of my money together. Going to Best Buy and buying off the shelf. Trying for the $2800 one because of the 4GB of RAM on the Radeon 560. Update: Money wise might have to settle for the $2400 model. It's still good but I have to get what I have money for. Hope there's no regret later on the Radeon card. Well now things have changed for the better. I have almost all the money together for the $2800 one. Just waiting for the iPad money to come. Good Luck. I hope you get it soon. My built to order MBP is now in Louisville and my Elgato dock is in my den. So is your MacBook in your possession?